Sean Conlon has been named managing director and head of a new healthcare initiative at Bank of the West's commercial banking group based in Los Angeles. Conlon, 58, has more than 20 years of experience with investment and commercial banking in the healthcare sector, serving most recently as managing director and head of healthcare finance at MUFG Union Bank in San Francisco for eight years. Julie Dohm was named senior adviser for compounding at the Food and Drug Administration's Center for Drug Evaluation and Research. She replaces Jane Axelrad, who retired. Dohm, an attorney, will manage teams that implement legislation, perform inspections and help develop policy. 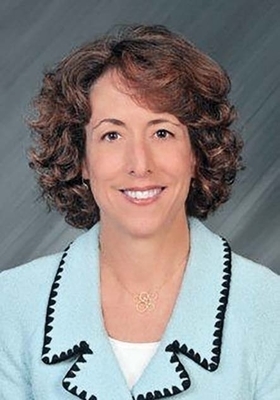 She was previously the general attorney for the Food and Drug Division of HHS' Office of General Counsel, where she advised the Center for Drug Evaluation and Research on legal issues related to generics and biosimilars. Dr. Brian Davidson was named president of St. Mary's Medical Center in Grand Junction, Colo. He has been interim president since September 2015, replacing Mike McBride. Davidson, 39, joined St. Mary's in 2014 as chief medical officer. Previously, he held leadership roles at the University of Colorado Anschutz Medical Campus, including serving as vice chairman of its department of anesthesiology. Mike Mullins has been named Ascension Health's senior VP and executive of its Kansas Ministry market, effective July 1. 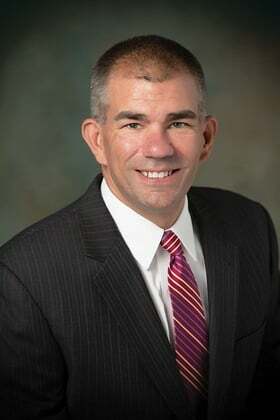 Mullins replaces Jeff Korsmo, who left Ascension May 13 to join Essentia Health in Duluth, Minn.
Mullins currently serves as COO of St. Vincent Health, an Ascension facility in Indianapolis, a post he has held since July 2014. In his new role, Mullins will lead Ascension's Via Christi Health, one of Kansas' largest healthcare provider. Kim Keck has been named president and CEO of Blue Cross and Blue Shield of Rhode Island, effective June 13. She follows Peter Andruszkiewicz, who announced his retirement in October. Keck, 52, most recently served as senior VP at Aetna, where she was involved in the planning of the insurer's proposed acquisition of Humana. She held leadership positions in the company for more than 25 years, including president of Aetna's Northeast and Southeast regions and VP of finance. Dr. Dan McCoy has been named president of Blue Cross and Blue Shield of Texas, effective July 1. The Richardson, Texas-based health plan is part of Chicago-based Health Care Service Corp. He succeeds Bert Marshall who will retire after 20 years with HCSC. Marshall previously served as president of Blue Cross and Blue Shield of Oklahoma. McCoy joined the Texas health plan in 2012 and has served as senior VP of Texas market strategy and chief medical officer. Previous positions include roles as managing partner at Texas Dermatology Associates and medical director of the Melanoma Screening Clinic at Sammons Cancer Center and Baylor University Medical Center's Outpatient Cancer Center.